Learn how OfferBoard® seamlessly connects accredited and qualified investors with investments. Entoro provides access to vetted and reviewed investment opportunities on the OfferBoard platform. All opportunities go through a rigorous due diligence and preparatory process to ensure the listing is informative and reliable. Accredited investors have access to qualified investment offerings, covering a wide range of industries. Our process ensures investors utilizing the OfferBoard platform are able to review opportunities that fall within their investment criteria. Through OfferBoard we match Issuers (companies or funds) in need of financing with Investors looking for vetted and direct investment opportunities. Technology-driven and automated capital raise process, OfferBoard offers transparency into investment opportunities and an efficient way to research opportunities that interest you. This process allows accredited and qualified investors to review multiple project details and investment criteria with confidence after signing and returning the Non-disclosure agreement. 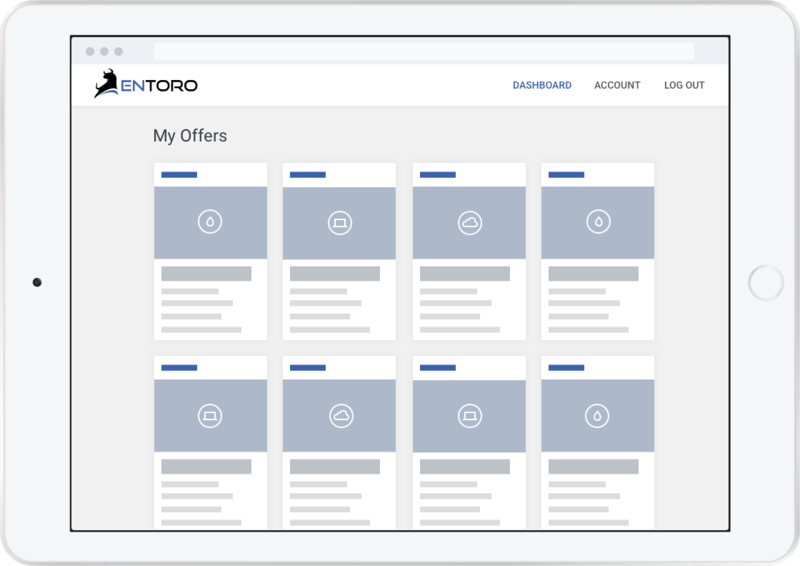 Placement on the OfferBoard platform leverages both the human and technological capacities of Entoro. The platform includes a full set of analytics, allowing for data-driven decision making regarding the offering and its market reception. Investment information is easily accessible and navigation is intuitive. Our team of finance professionals is available to guide investors through an informed and consultative process regarding opportunities. Members of OfferBoard are provided with a selection of tools to screen and filter through offerings and view opportunities directly on their dashboard. Entoro Capital, LLC is the parent company of OfferBoard, LLC and Entoro Securities, LLC.